We are always looking for the perfect fit. We try on clothes before we buy them because clothes that fit look better. We pay to get rings resized. We even look for fit in our relationships; most of us like to build relationships with people who are compatible with most of us like to build relationships with people who are compatible with us in some way. 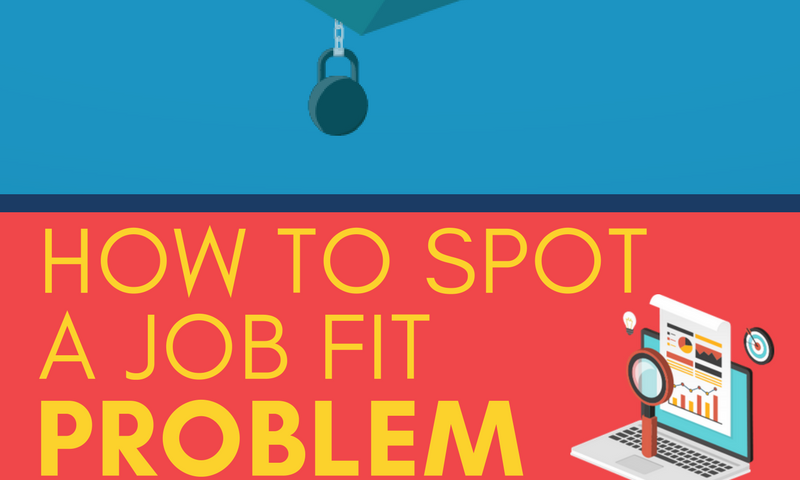 Since we take such care to find the perfect fit in other parts of our lives, shouldn’t we take the same approach in hiring to make sure candidates fit open positions? 1. The employee's performance quality has decreased drastically. If you notice that a formally stellar employee has been producing less quality work, it may be a sign that he or she needs a change. It is clear that the employee has the ability to be a star performer. Identify a job that will challenge him or her. Hopefully, the change of pace will be exactly what the employee needs to return to their previous level of engagement and work quality. 2. The employee has an updated skill set. Many employees go back to school or seek certifications to keep themselves marketable, or switch careers completely. Instead of losing your employees to other companies once they receive more education, identify open positions you have that will match their new skill sets. 3. The employee seems bored. If you have an employee who is still doing adequate work but seems bored, a job-fit problem probably exists. Boredom can be identified by an inability to pay attention in meetings, lack of new ideas, or a general loss of interest in company news. People prefer to be in jobs that excite and push them. Boredom is the first sign of a string of other problems, including disengagement and poor work quality. Stop the downward trend before it gets too bad by placing the employee in a new job that challenges them.